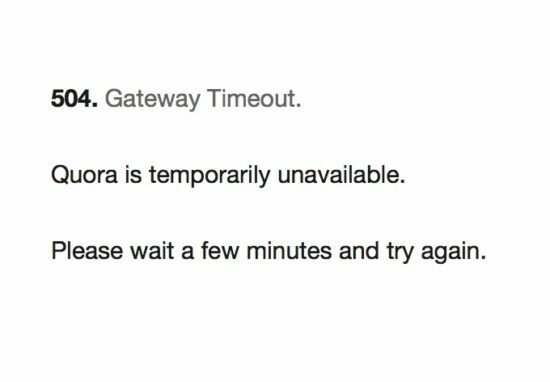 Today I’ve been noticing 504 error a lot on Quora. It happened earlier, got better but it’s there again now. Maybe their servers are experiencing some attack or there is some server configuration issue! Did you notice this error too? Yeh having same problem.Have you solved it ? It’s a server side issue and Upwork fixed it hopefully.